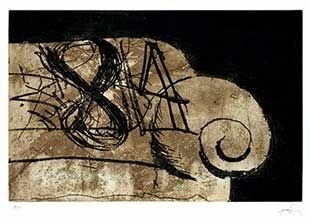 1984 - Creation of the Antoni Tapies Foundation in Barcelona. 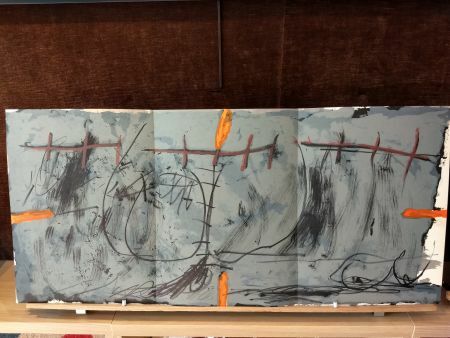 1981 - Tapies creates his first ceramics with Hans Spinner. 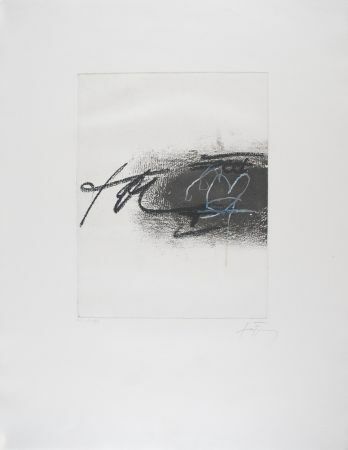 1955 - Tapiès becomes internationally famous when he exhibits at the Stadler gallery in Paris. 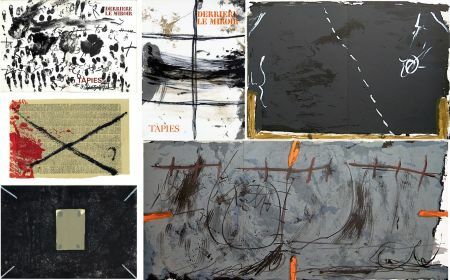 1970 - Tapies‘s works evoke an image of a torn and distressed world with the help of lacerated and scratchy compositions. 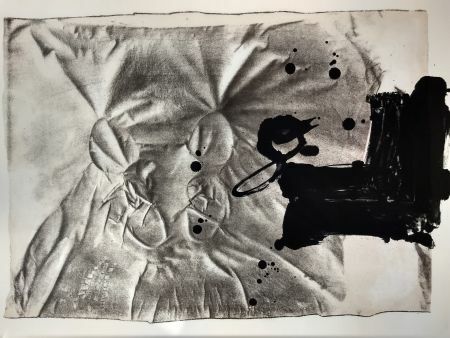 He creates his first sculptures and assemblies. 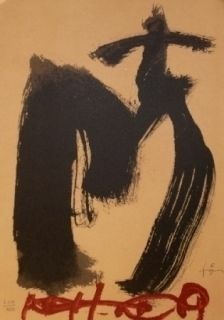 1953 - He abandons surrealism and begins working with abstraction using raw materials, textures and signs. 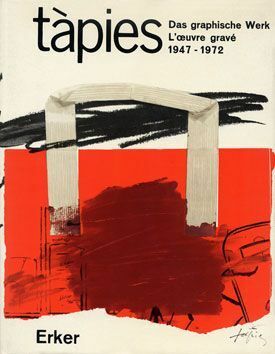 1951 - Tapies receives a scholarship from France and meets Braque, Picasso, Dubuffet, Fautrier and Michel Tapié in Paris. 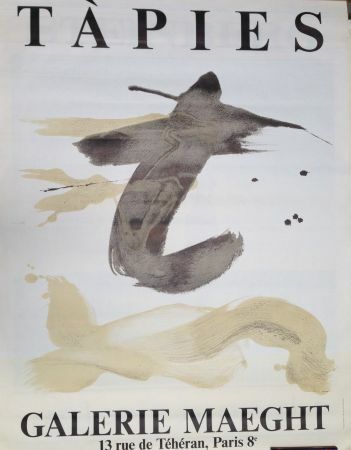 1949 - Tapies becomes interested in oriental art. 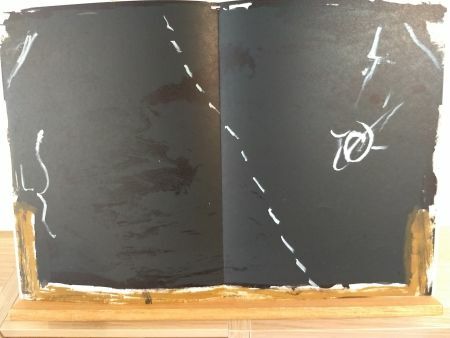 He is particularly interested in oriental calligraphy. 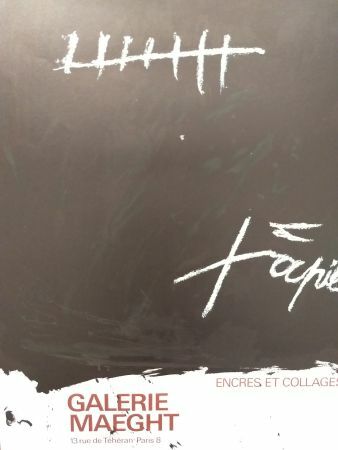 1948 - He establishes the Dau Al Set review (The 7th Face of the Die) with Ponç, Tharrats and Cuixart. 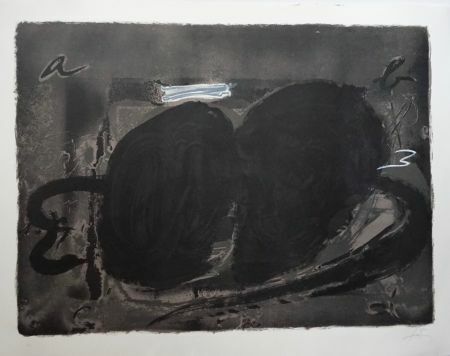 He meets Miro whose influence causes him to enter a period. 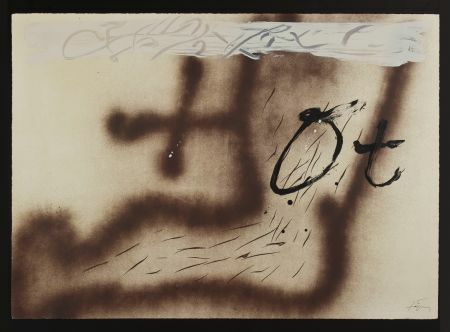 1946 - Tapies studies design at the Valls Academy and creates his first abstract works. 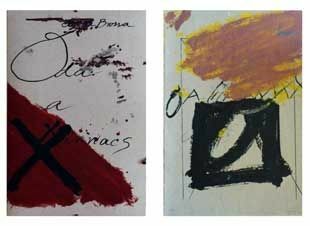 1942 - Tapies suffers from a serious pulmonary disease followed by a lengthy convalescence during which he becomes interested in art. 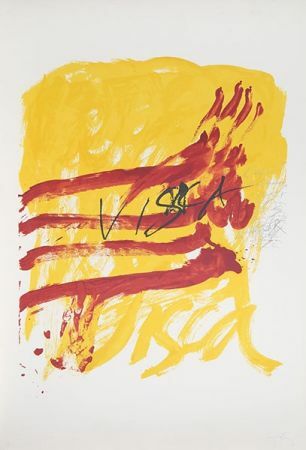 1936 - The Spanish Civil War profoundly affects his adolescence. 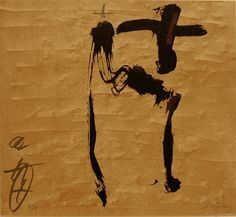 1923 - Antoni Tapies is born in Barcelona. 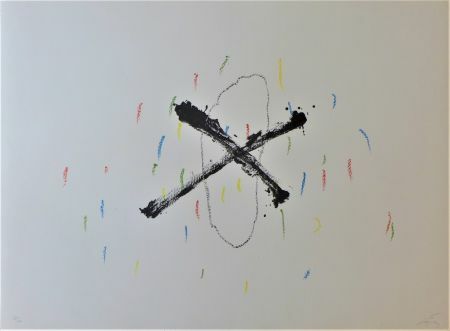 2012 - Antoni Tapiès dies on February 6th in Barcelona at the age of 88. 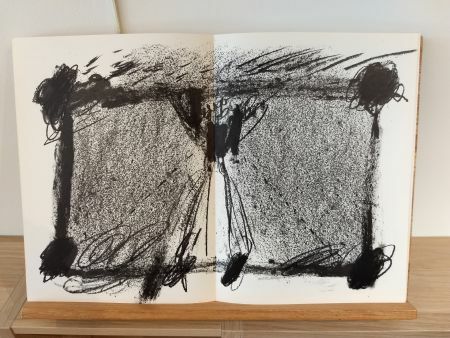 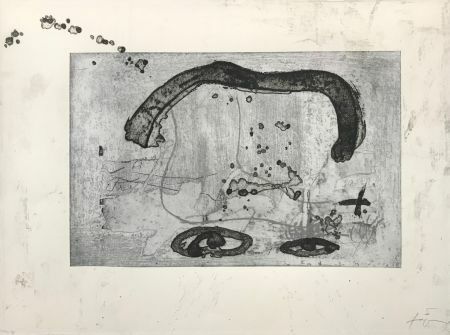 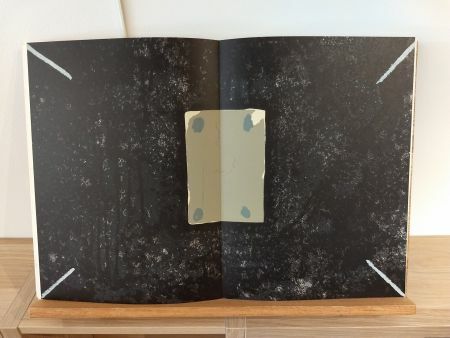 "Tapies, l'oeuvre gravé" from Mariuccia Galfetti, in 3 volumes (here the first one is reproduced) reference all the original prints by Tapies, etchings and lithographs, made between 1947 and 1986. 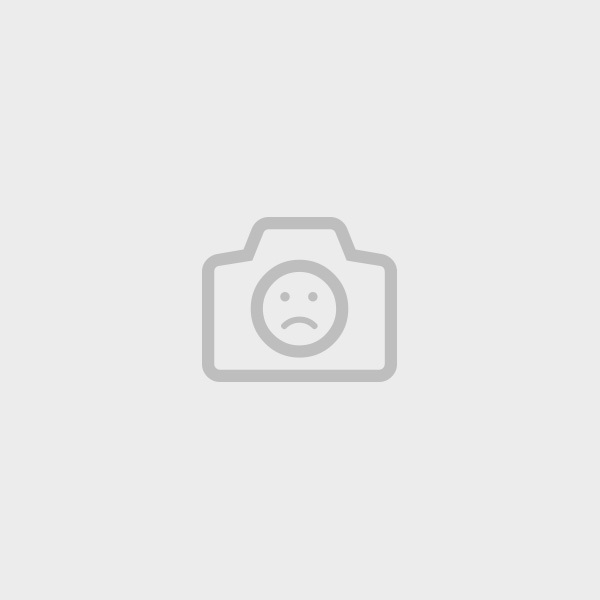 Erker publisher.